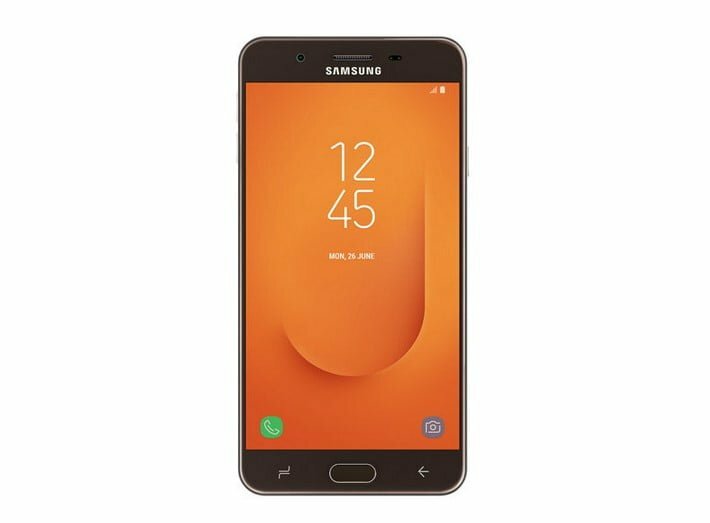 Samsung India accidentally revealed the Galaxy J7 Prime 2 – along with a slew of specifications and features that give us a sense of what we can expect from the upcoming phone. It’s not possible to access a live version of the Galaxy J7 Prime 2, as it was quickly taken down and it’s assumed that the announcement was accidental. Fortunately, a number of outlets picked up the information pretty quickly following the announcement and we’re able to give you a pretty good idea of what’s in store with the Galaxy J7 Prime 2. While Samsung generally releases their mid-range phones without too much fanfare or the same attention to marketing we see with the high-end flagships, the same can’t be said for phones intended to release in India. India is becoming a huge market for smartphones, but customers usually opt for more affordable mid-range models rather than the high-end flagships that we often see in the West. Because of this fact, the accidental leak of the Galaxy J7 Prime 2 announcement is a big deal, and may have messed with some plans internally for the Indian division of Samsung. With that said, Samsung’s loss is our gain as we have a full list of specifications coming with the Galaxy J7 Prime 2 – and it’s shaping up to be a pretty impressive phone available at a very affordable price. First off, we’ll talk about the price. At Rs. 13,900, it’s around $214 and quite affordable when compared to some of the competition – especially considering some of the specifications we’ll see with the upcoming phone. Both variants of the Galaxy J7 Prime 2 are identified by the model number SM-G610FZKO and ship with 32 internal flash storage. This may not seem like a lot, but considering that it can be expanded to 256 GB via an SD card, it’s unlikely that you’ll have trouble finding room for all of your videos, pictures and apps. It will ship in both Black and Gold color options, giving a little bit of variety for those who want something other than the standard dark flagship with the same design we’ve seen ad nauseum. We’ll see a 5.5-inch TFT display panel, and while we don’t know the resolution yet it’s likely that we’ll see a 720p quality given the price tag. The official product renders also show us a 16:9 screen, which adds credence to this educated guess. As far as the main camera goes, we’ll see a 13-megapixel sensor with an f/1.9 lens, as well as an 8-megapixel setup on the top of the phone. Many people’s primary concern when purchasing a phone is the power and capability to handle apps, and while we don’t know exactly what will be included in the phone, we do know that it is an octa-core processor – presumably one of Samsung’s Exynos silicon family. 3GB of RAM, dual-SIM capabilities, and a physical Home button that doubles as a fingerprint reader round out what looks to be a competitive mid-range handset. At this point, we don’t have an idea of a release date – especially considering it was unceremoniously announced by accident. We’ll have to keep our eyes peeled for the “real” announcement to get a sense of when it’s shipping, but we anticipate we’ll get our hands on the device sometime in 2018.